A new poll by the Israeli Consumers Union shows that Israelis do not trust business owners – retail and services. A new poll by the Israeli Consumers Union shows that Israelis do not trust business owners – both in retail and services. 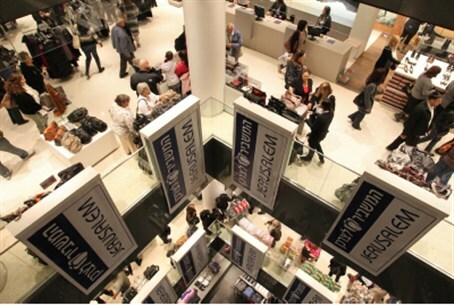 The poll, taken in advance of World Consumer Rights Day on March 15, shows that about half of Israeli consumers believe that store and business owners cannot be trusted. The poll also shows that 58% of those polled said that the “business culture” in Israel did not respect consumers. Most consumers were unaware of their rights, respondents said, and businesses took advantage of this. In addition, 72% of those polled said the government cannot be trusted to protect consumers, and 43% said that what consumer laws that were on the books were there to protect business owners. Only 26% said that current laws were sufficient to protect consumers and ensure their rights. Commenting on the findings, Yaron Levinson, chairman of the Consumers Union, said that “there is a need to strengthen the protection of consumers in Israel and to pass new laws on the matter. In addition, there is a need to ensure that people know their rights, and that business owners know that the government will enforce the law and defend the rights of consumers,” he said.